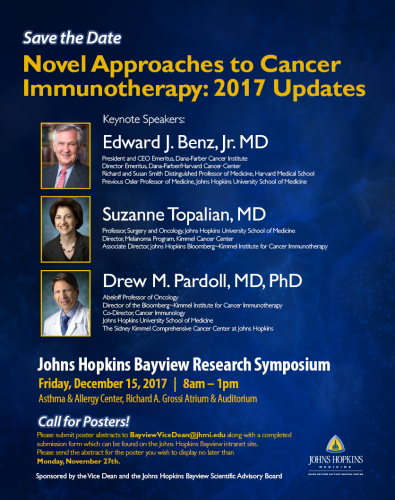 At the 12th Annual Bayview Research Symposium, we had Edward J. Benz, Suzanne Topalian, and Drew Pardoll discuss cancer immunotherapy with our doctors, residents, and medical students here at Bayview. 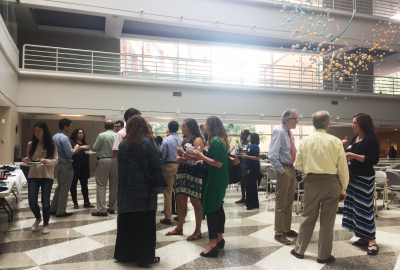 With a full morning of presentations, questions, and conversations on how to take new research and implement it more widely, the symposium was buzzing with activity. All three of the presentations were recorded and can be watched by clicking on this link. In between speakers, we invited guests to come and explore the rows upon rows of posters detailing the work of researchers here at Bayview. We had over one hundred and twenty poster submissions from various different disciplines and grouped them together in everything from community-based research to clinical trials and translational science. Many of the students who worked on the presented studies took the time to join us on the day of symposium. They had the chance to discuss their research with attendees curious to know more about what went in to yielding the final results of these lengthy projects. This gave young researchers the chance to receive feedback and even some suggestions from experienced doctors. As the symposium went on, participants were able to vote for their favorite research posters. We’d also like to announce the winning poster submissions receiving the greatest number of votes this year. Each winner will receive an Amazon gift card. Congratulations to Chantal Lemoine, MD with “Association of Omega-3 and Omega-6 Fatty Acid Intake with Inflammation and Respiratory Outcomes in COPD” and Joel Credle, PhD with “Multiplexed Analysis of Fixed Tissue RNA Using Ligation in situ Hybridization”. We appreciate your participation and can’t wait to see what kind of research you all cook up for next year’s symposium! Of course, December also marks the winter holidays, which makes it a season of giving. Medicine for the Greater Good ventured out into the community and distributed winter gear to children in need during their “Science and Scarves” event on December 12th. MGG associates presented to the children and their families on asthma care and clean air. 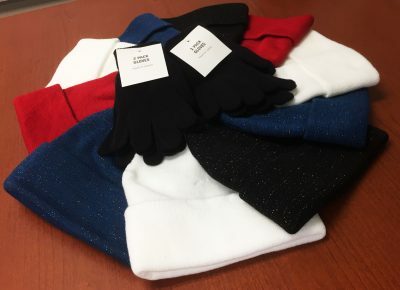 Then once it was dark, they brought them outside bundled up in their new hats and gloves to take a look at the stars through the Popscope telescope. Next, our administrative staff who help keep CIM running wanted to get involved as well, and we ventured out of the office and spent a day volunteering at Movable Feast. This Baltimore based initiative prepares nutritious meals for people with diseases that cause vulnerable immune systems. They deliver medically tailored meals, free of charge, to people who live with serious illnesses and cannot physically prepare food for themselves or afford to go out and shop. 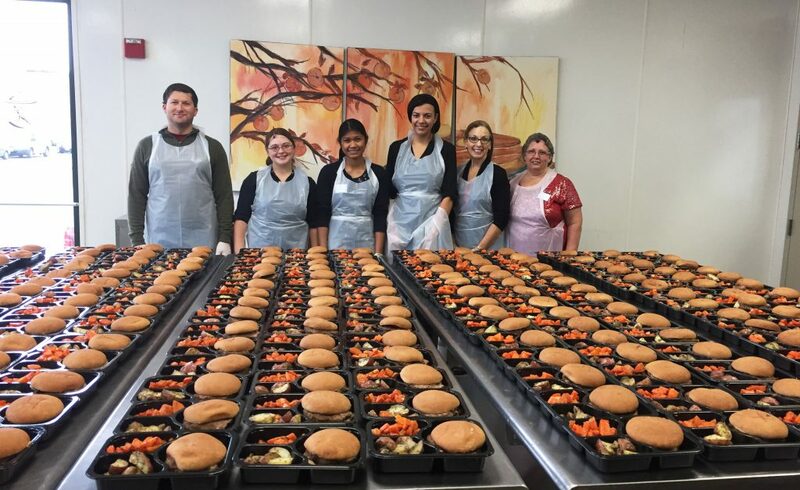 In just one day of donning plastic gloves and hairnets, we prepared 999 meals! It’s a time of the year to be thankful and we want to take a moment to say thank you to all of the excellent members and donors who make things happen here at CIM. 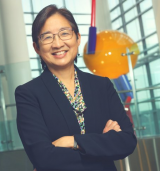 We’re happy to share that CIM member Tina Cheng, MD, MPH, has been elected to the National Academy of Medicine. New members are chosen through a highly selective process that looks for individuals who have made major contributions in the advancement of the medical sciences, health care, and public health. Dr. Cheng is the Given Foundation Professor of Pediatrics as well as the Director of Pediatrics here at Hopkins. In other exciting news, this month, we launched the new Research Roundup newsletter. The purpose of this new bimonthly publication is to highlight research funding opportunities that Bayview researchers can apply to, but also to shine the spotlight when faculty here at Bayview receive a grant award. Our next issue comes out in January and if you know of some great research news or would like to be added to the distribution list, please send us an email at BayviewViceDean@jhmi.edu. 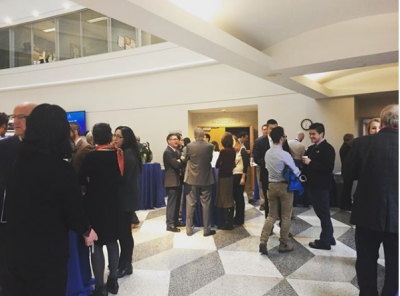 Last but not least, we’re eagerly getting ready for the 12th Annual Johns Hopkins Bayview Research Symposium! It will be held Friday, December 15th, from 8 a.m. to 1 p.m. in the atrium and Richard A. Grossi Auditorium at the Johns Hopkins Asthma & Allergy Center, located at 5501 Hopkins Bayview Circle. Mark your calendars and join us! This month, we were delighted to host our annual CIM International Advisory Board gathering here in Baltimore. Over the course of two days, nearly 20 of our generous donors came together to guide, support, and oversee the CIM’s activities, and to help us look towards the future. On the evening before the meeting, our board members gathered for a dinner featuring remarks from CIM Member Jeremy Greene, PhD, MD, who recently launched the Center for Medical Humanities and Social Medicine at Hopkins. To commemorate the launch of this new Center, several CIM members took part in the conference “Media Medica: Medicine & the Challenge of New Media” on October 27th and 28th. While the IAB meeting brought in many people from out of town, we also welcomed someone who was very much from in town to the Medicine for the Greater Good Symposium just a few days later. On October 17th, Baltimore Mayor Catherine E. Pugh came to Bayview and spoke to an overflowing auditorium. After discussing the state of the city’s health and what the Mayor’s office is doing to help, we opened the floor to audience questions. She was eager to stay and answer as many questions as possible during the symposium, something that excited many attendees who wanted to know more about our city and public health. Last but not least, during this month’s CIM meeting, Sarah Hemminger, PhD, Chief Executive Officer and Co-Founder of Thread, presented to CIM members about her organization’s goals. The purpose of Thread is engaging struggling high school students who face barriers outside of the classroom, whether they’re facing economic problems, family troubles, or any other dilemma that is keeping them from succeeding. While she spoke, Sarah emphasized how many of these students know hardly anyone in their lives who actually has made the investment in education, gone to college, and come out successful for it. Instead, they’re surrounded by people who have turned away from education for other ways to make money, some of which can be dangerous or even illegal in some cases. Subsequently, it seems quite logical for these young students to decide not to bother with high school and college, since that idea of securing a well-paying job seems like a far off pipe dream. However, Thread provides these students with a “family” of volunteers who help these students get to school every day, assist them in finding resources to make it to college, and fundamentally change their futures. To find out more about Thread, you can visit their website, and learn how they’re changing the fabric of Baltimore’s youth. They’re always looking for more volunteers to step up and help more students in the city. 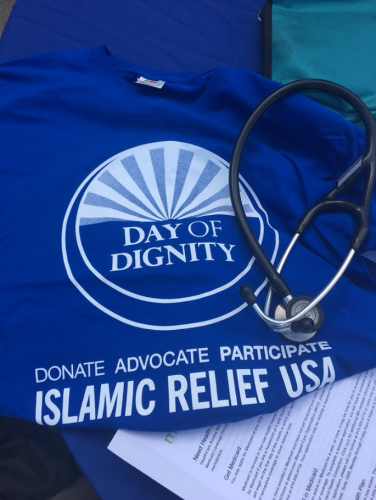 This summer, Medicine for the Greater Good has been reaching out to the community in many outstanding ways. Shortly before the start of the school year, they prepared lunch bags and backpacks filled with school supplies for children in Baltimore who were in need. In addition to young minds by helping them get ready for school, they also provided an interactive lesson on asthma education. Dozens of students received supplies and took part in the informative activities. 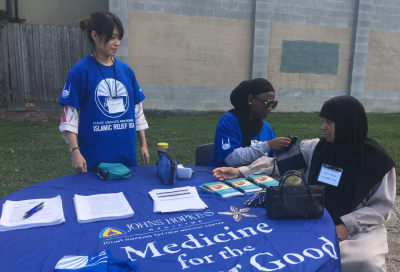 Most recently, on September 23rd, our MGG team was joined by Johns Hopkins Bayview residents and School of Nursing students to provide health screenings to members of the community at the Day of Dignity event with Baltimore’s Muslim Community. 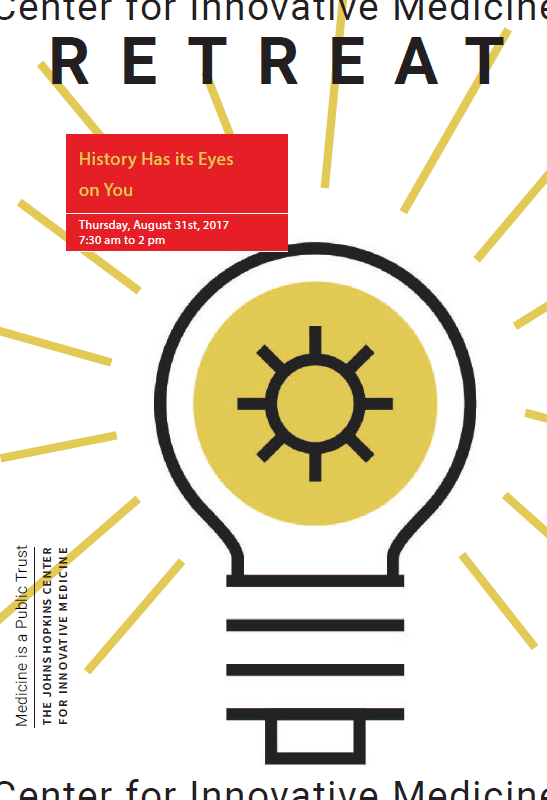 MGG is also preparing for their upcoming symposium, featuring Mayor Catherine E. Pugh as the keynote speaker. 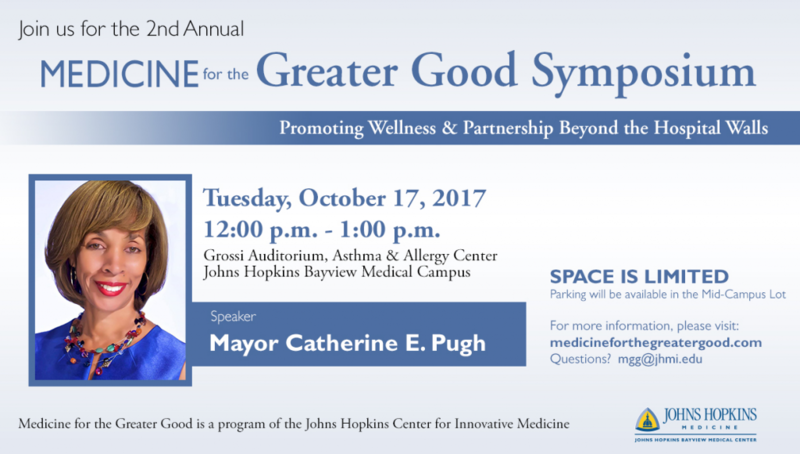 Mayor Pugh will be vising Johns Hopkins Bayview Medical Center on Tuesday, October 17th, to discuss how we can bring health and wellness beyond the hospital walls. We brought some of the best minds in medicine together for our Center for Innovative Medicine annual retreat this month! With our retreat led by Redonda Miller, MD, MBA, President of Johns Hopkins Hospital, we ventured to the countryside just a short distance away from Baltimore to brainstorm how we can improve. Though we call it a retreat, we are all about taking a hard look at the problems that we face as an institution and how we can better serve Baltimore and beyond. This year, we had doctors, administrators, nurses, and more split into groups to discuss the Great Doctor, Precision Medicine, and the upcoming 5 in 10. Each group was faced with hard questions; how do we help good doctors become excellent? How do we preserve and improve humanism in care? How do we use precision medicine to address patients’ unmet needs? Last but certainly not least, how do we help people in Baltimore City and improve life expectancy? There is no one simple answer to any of those questions, but with seventy brilliant guests, we’re brimming with new ideas. With big things brewing, we also want to improve our visibility and let the world know what we’re doing! We’ve been on Twitter as Hopkins_CIM since last last year, but we’re pleased to say we are also now on Instagram! You can follow us and get a bird’s eye view at what we’re doing and where we are by following Hopkins_CIM on Instagram as well. While the Johns Hopkins Hospital and Johns Hopkins Bayview are connected by a shuttle, there is no direct route connecting the Johns Hopkins University campus at Homewood, to our facilities here at Bayview. Subsequently, when students sought to volunteer or work here, they were faced with a daunting one to two hour commute navigating between multiple shuttles and dancing around conflicting route schedules. We tasked the Bayview Scientific Advisory Board to explore the best options to resolve this problem. 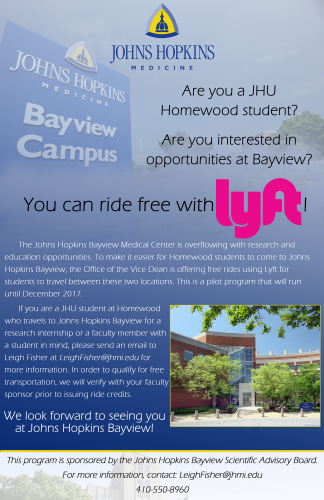 In June, our Lyft Pilot Program started rolling, and it has grown to support over sixty students from Johns Hopkins Homewood pursuing research, service, and education opportunities here at the Bayview Medical Center. When we started the program, we had researchers in mind, but we were shocked and thrilled by all the different things that volunteers were coming to Bayview for; we have students working with the hospital library bringing books to patients’ rooms, working with the emergency department, shadowing doctors, taking part in cutting edge research studies, and even serving as translators or interpreters for patients. There are more bright, young minds here at Bayview this summer; we are thrilled to have them improving patient care and advancing research projects. Since then, with more than sixty participants, we have provided over five hundred rides to these eager students in July alone. While this is currently a pilot study, we are eager to secure more support for the program and keep it going into the future. We are also preparing for our Center for Innovative Medicine annual retreat, which is quickly approaching with a date set for August 31st. Dr. Redonda Miller, President of the Johns Hopkins Hospital, will be the retreat moderator. While we gather brilliant students here at Bayview, we are also preparing to bring together excellent doctors, nurses, clinicians, researchers, and faculty members to discuss how we can continue to improve care here at Bayview and connect with the community to face health disparities. CIM members, save the date! We are eager to see you! With summer upon us, the Bayview Scientific Advisory Board held its first networking event for doctors and researchers. 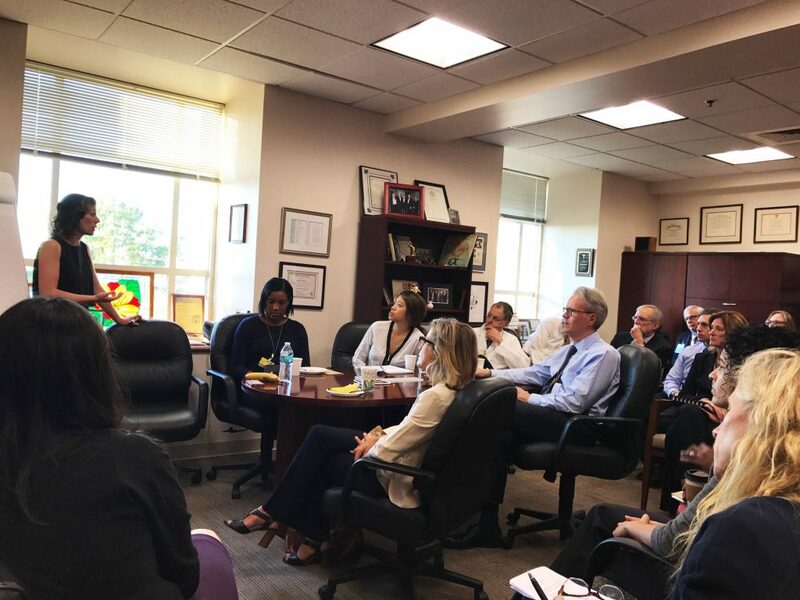 Through the board’s monthly meetings, we realized that while there are a lot of people from different disciplines doing fantastic research here at Bayview, people in different divisions seldom have the chance to connect and discuss their work. There are the simple physical barriers, such as different divisions being in different buildings across campus, but that wasn’t all. With scientists working tirelessly on their research, it’s not easy to get out of the lab on short notice. Thus we set out to start a series of events with one focus; getting researchers together for professional networking. We surveyed researchers to find the best evening for everyone to gather and set the date. The event was a success with more than fifty attendees who were all curious to know when the next date would be. While we are happy to network with our current researchers and encourage departments to work together in new ways, we are also always committed to medical education. We are thrilled to welcome our new Internal Medicine Residents, Drs. Emily Insetta, Francoise Marvel, and Kerry Sheets. In May, we started our commemoration of the Aliki Initiative Ten Year Anniversary with a photobook paying tribute to Mrs. Aliki Perroti. This book told the story of the initiative and its accomplishments through moments captured over the decade. Now, we’re thrilled to tell the full story and unveil Celebrating Aliki at 10: A Bold Movement Becomes a Science. 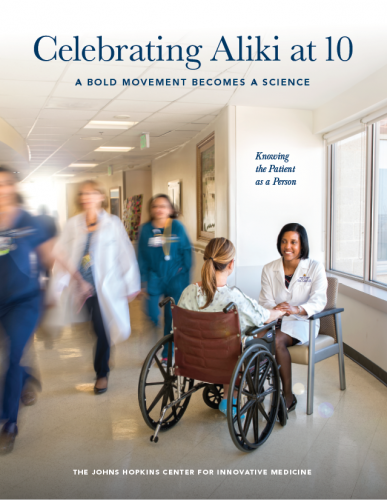 This magazine covers everything from the day the initiative was born, stories of the patients our doctors have reached, and how the program continues to develop. You can read more to learn all about the initiative as well as the promise of personomics by clicking here. 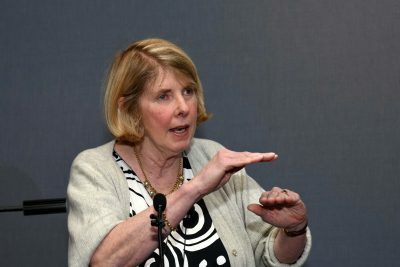 Our Miller Coulson Academy’s series of events continued with the Annual Miller Lecture, presented by New York Times bestselling author Kay Redfield Jamison. The mind behind Robert Lowell: Setting the River on Fire, An Unquiet Mind, and more, Dr. Jamison came to Bayview on May 9th to discuss her books and her vast research on the connection between creativity and various psychiatric ailments, such as bipolar disorder, and manic-depressive illness. Following the Miller Lecture, CIM member Dr. Scott Wright was installed as the inaugural The Anne Gaines and G. Thomas Miller Professorship in the Center for Innovative Medicine. An endowed professorship is the highest honor at Johns Hopkins University and we are thrilled to have Dr. Wright receive this distinction. A dedicated doctor who works constantly to help his patients and act as a mentor to other faculty members, we are proud to have Dr. Wright in the CIM and thank the Miller family for their support. Another branch of the CIM, our Aliki Initiative, also had an active month in May. A number of our Aliki scholars and supporters traveled to New York City to have a dinner with JHU President Ron Daniels and CIM Board Member Mrs. Aliki Perroti, the movement’s namesake, to celebrate the 10th anniversary of the program. This initiative is focused on one of the goals we hold dearest; knowing the patient as a person, a key component in making medicine a better public trust. When our doctors and nurses take the time to get to know their patients, a trusting relationship is forged between both parties. To mark this milestone, , we put together a commemorative photobook that looks at the first decade and what we hope to keep developing in the next ten years. To read the book, you can click here! The 2017 Miller Coulson Academy of Clinical Excellence Induction Ceremony was held on Monday, April 17, 2017 at The Johns Hopkins Hospital Chevy Chase Bank Auditorium in the Sheikh Zayed Tower, where eleven of this year’s inductees shared their inspirational stories about clinical excellence. 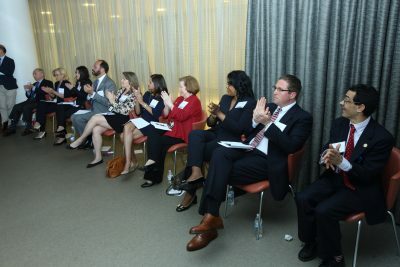 Inductees are honored for their passion, professionalism, knowledge, communication skills, ability to negotiate the health care system and service as a role model to medical trainees. 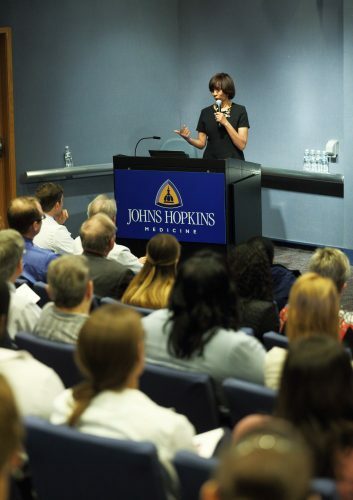 The Miller Coulson Academy was established in 2006 as a part of the Center of Innovative Medicine to honor and emphasize the importance of clinical excellence – a value that remains at the core of the Johns Hopkins mission. Team Bayview participated in this year’s Dancing with the Hopkins Stars on March 29, as CIM member Dr. Panagis Galiatsatos and Staci Roberts danced to support a United Way charity, Access to Health Food Initiative. The two competed against seven other teams, raising money for the initiative that works to improve the quantity and quality of meals provided to low-income families in our region. Team Bayview raised over $6,000 for their charity! To watch the talented dancers, please click here. We are also thrilled to announce that the U.S. News & World Report recognized the Johns Hopkins School of Medicine’s Division of Geriatrics and Gerontology as the number one graduate training program for preparing the next generation of physicians, scientists and professionals to better the lives of older adults. The geriatrics program has held the top spot three years running. Congrats to CIM member and Geriatrics Division Chief Dr. Chris Durso! The CIM International Advisory Board would like to welcome Mary Trotter, a new member of our group. Professor Trotter graduated from Vassar College and Yale Law School and has the impressive history of being one of the first female attorneys in the Enforcement Division of the Securities and Exchange Commission. In her time in academia as a professor, she has written over a dozen law review articles and played a massive role in training moot court teams for the a national competition. In other news, the CIM website was fully overhauled last year with a new, more user friendly design. Once the redesign process was complete, we entered in the 32nd Annual Educational Advertising Awards, which are sponsored by the Higher Education Marketing Report. There were a formidable 2,250 entries from over a thousand different colleges, universities, and secondary schools and the CIM website won a Merit award for the redesign of our website. The full list of participating schools and projects can be found here. Last but not least, the Center for Innovative Medicine is now on Twitter. Our handle there is @Hopkins_CIM and we post daily about everything going on at Johns Hopkins Bayview. Dr. Rafael Llinas, Chair of Neurology and a member of the Center for Innovative Medicine, was named 2016 Physician of the Year. He serves at the Johns Hopkins Bayview Medical Center and has made a tremendous impact on the campus over his years of service. He originally came to Johns Hopkins in August of 2000 and began as an Instructor of Neurology, going on to become the Neurology Residency Program Director, Associate Professor of Neurology, and his aforementioned role as the Chairman of the Department of Neurology. Through these years at Hopkins, Dr. Llinas played a key role in establishing the Stroke Center at Bayview. This center has been recognized by the Maryland Institute for Emergency Medical Services Systems as a comprehensive stroke center. As this success suggests, his area of expertise is cerebrovascular diseases, neurology, and strokes. 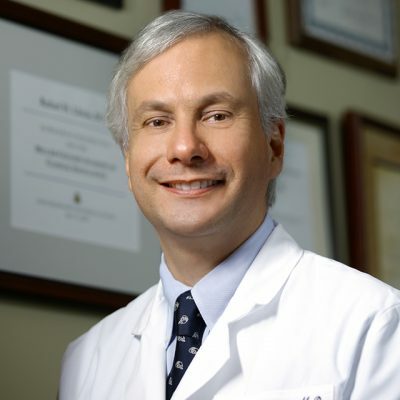 Dr. Llinas is an active member of the Hopkins community who has still managed to be an author on nearly fifty publications listed in the US National Library of Medicine. His vast collection of published work shows his enthusiasm for research and making medical knowledge more widely accessible. In addition to all of his impressive accomplishments, he remains focused on making connections with his patients and explaining everything to them in a way that any ordinary person can easily understand. He is respected for his dedication to his patients and doing everything possible to help them. To hear more of his medical insight, the interview he did in response to being chosen as the 2016 Physical of the Year can be found below.